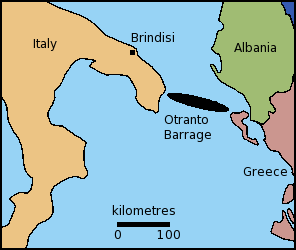 The famous Otranto barrage designed to keep the Austrians honest and scene of a number of tactically interesting actions involving smaller vessels. Despite a train cancellation on the journey home last night I was able to spend some quality time reordering the files and notes around the Jutland rules project. It was a strangely therapeutic experience and more importantly has served to focus my thought process. The following post is very much a 'retrospective clarification' of exactly what it is I am trying to achieve and more importantly, why I am trying to achieve it. Some of this may well fall into the category of 'stating the obvious' but it is relevant. Jutland was the epitome of the big fleet battle - I am quite sure we all agree on that score. The Avalon Hill game of Jutland reflects this and is designed to enable the gamer to recreate the action in a manageable fashion. The rules are concerned with capital ships and the smaller ships, the light cruisers and destroyers, whilst important are very much supporting players. The game mechanics reflect this to the extent that light cruisers and destroyers are represented by formation counters, each containing any number of ships. In short, they are abstracted out. This is fine as for Jutland as we are concerned about the battleships and battlecruisers. For this level of operation the game works extremely well. What about smaller actions then? Destroyer sweeps, 'hunt the raider' actions, shore bombardments and a myriad other non-fleet sized activities. 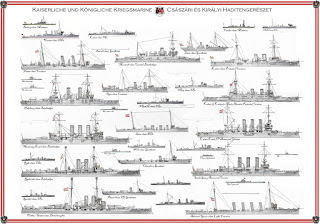 The Jutland tactical rules are not really suited to use for single ship games and in my opinion struggle with even small squadron sized actions - why would they need to be concerned with such engagements as they are designed for use with whole fleets. As they designed for fleet actions, specifically THE fleet action, the smaller scale stuff is of less importance. It is not a new phenomena. As wargamers we read about a battle and then raise a force that represents a small part of it. We then try and use that small force to fight the larger battle we have read about - or (in this case) vice versa. The problem is that we invariably have a set of rules that are not suited to what we are trying to game. I am not saying that everyone suffers from that but I have seen and experienced it first hand. The majority of naval actions I have fought have tended to be quite small in terms of the number of models - usually around a dozen or so a side. With this in mind I want a set of rules that will enable me to fight an action to a conclusion in a couple of hours gaming time and with around a dozen or so models a side. A typical force (and this is VERY general) may be division of battleships (say 2 or 3), a couple of cruisers and half a dozen destroyers. For something of this size every ship is important and has a role to play. Clearly then, using Jutland would not be suitable, focussing on as it does the challenges of fleet level command. It is not all doom and gloom though as the core systems of Jutland (which are very soundly thought out) can be used at a lower level of operations and still give a satisfying game. By 'telescoping' the rules down a notch so that all ships from destroyers upwards have some form of damage record card it will ensure that the lower level flavour is not lost in higher level processes. On the face of it then the approach will be similar to that employed by Paul Hague in the original version of Sea Battles in Miniature. Essentially ships smaller than an armoured cruiser used a different calculation for their vital statistics (damage points etc) than the bigger ships. This is quite easy to factor in really as various prohibitions were employed around what types of ship could fire at what. For example battleships could not fire their main guns at a destroyer nor vice versa. Jutland also had provision for this but not for scoping out smaller ships. In a nutshell then, I am devising a set of rules that will work at the lower end of the tactical scale - primarily by treating smaller ships as individuals similar to the larger types - using most of the mechanics from Jutland but with some subtle changes. 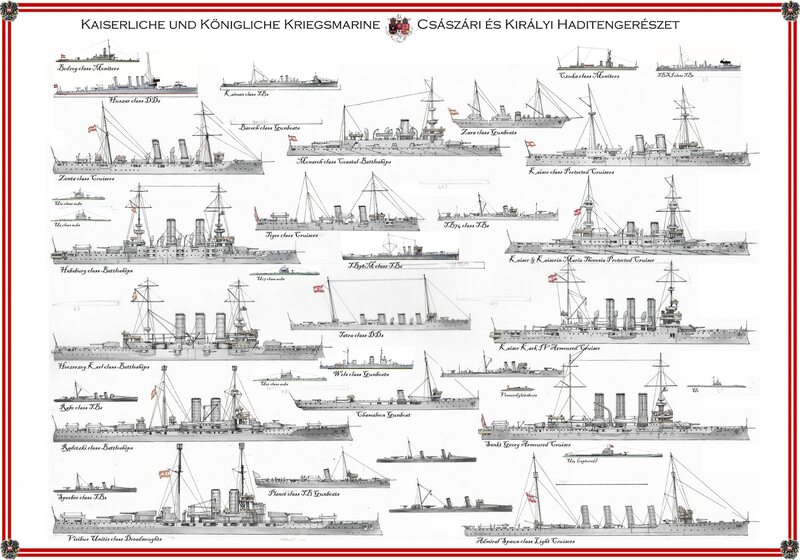 By setting a series of baselines for ship types based on any of the following - guns, armour, tonnage etc I will be able to model their characteristics more readily but still maintain the Jutland 'big ship' flavour. These rules will include big ships as a matter of course - think as what I am doing as adding the 7/8th of the iceberg to the 1/8th that is above sea level. That is the plan then. I look forward to seeing this project unfold, especially as the naval combats you are seeking to fight are far more typical of the sorts of naval actions that took place during WWI. I suppose you have to do something wrong to learn how to do it right! In a nutshell I guess I was looking at the rules from the top down rather than the bottom up. Now I have identified where I went wrong I can revise my plans accordingly. It has been a good experience and I have learned a lot from it. The plan is to have the draft ready when the current batch of ships are done (scheduled for the end of the year)so I am now quite close. You're quite right about potential at Orarnto. I also think that you're onto something rule wise. Good luck in the planning. Good to hear from you! There are plenty of actions arising from the barrage that are small scale and ideal for gaming. IIRC there are a couple of very good books on the subject as well. Thanks for the comment re the rules - after several false dawns I think I have finally got to where I wanted to get them. I just need to get the draft finalised and some serious testing in. All being well I should be doing just that by the end of the year. Full steam ahead David! You need to get lads on the table! Although fleet actions have their points, I rather think they would become rather stereotyped after a while - particularly against the same opponents. I've often thought that the task force operations offer far more variety, whether in the open sea (Coronel, Falklands), or inshore work with small craft (destroyers being the big guys for this sort of thing). I am planning on doing just that before the end of the year! I must have refought Jutland using the Avalon Hill game umpteen times and there were different challenges in every game. However, I take your point about smaller actions and can safely say that some of my best ever naval games have involved less than a dozen ships in total. The naval plans for the coming year are smaller scale in nature although capital ships will feature. Jutland Part 7: "More slaughter, more misery"
Squire Haggard of Haggard Hall R.I.P.